Recently, Ideal PR Media was invited to attend the Samuel Waxman Cancer Research Foundation (SWCRF) ‘Collaborating for a Cure’ Benefit Dinner and Auction. This event honored fashion designer John Varvatos, and featured a special musical performance by legendary American Singer-Songwriter at Cipriani Wall Street in New York. 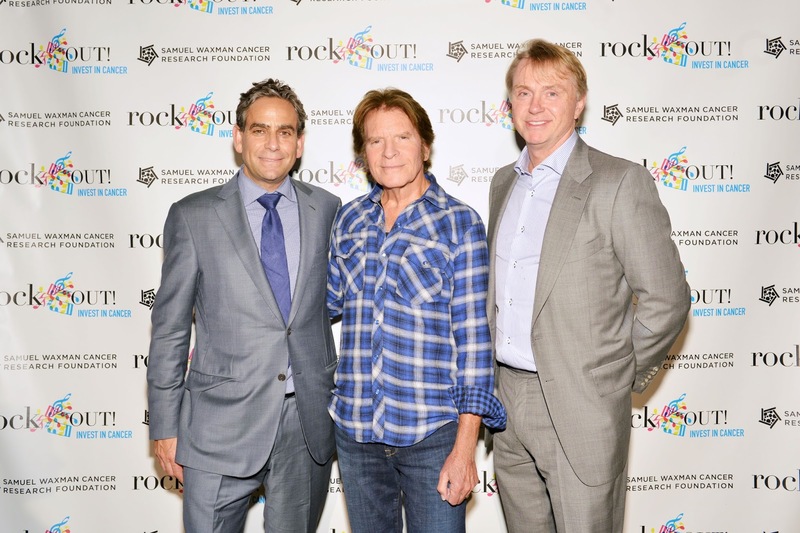 The annual event, now in its eighteenth year, raised $2.5 million to support the Waxman Foundation’s research efforts to produce a cure for cancer. 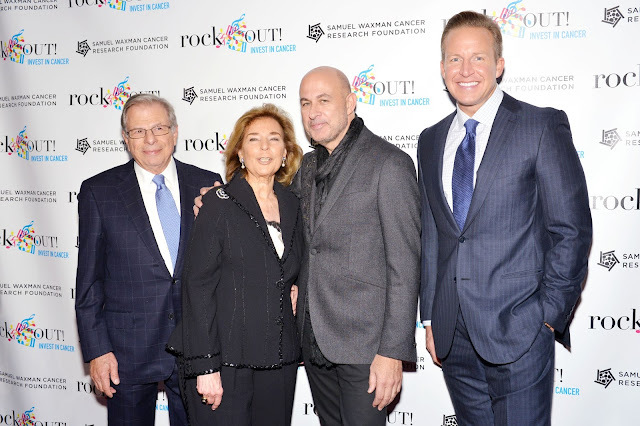 Notable attendees included Dr. Samuel Waxman (Founder and CEO, Samuel Waxman Cancer Research Foundation); Marion Waxman; Michael and Elin Nierenberg (18th Annual Collaborating for a Cure Hosts);Chris Wragge (Co-Anchor of CBS 2 News This Morning); John Varvatos (Honoree; Fashion Designer John Varvatos); John Fogerty (Special Musical Guest); Spencer Waxman (President, Samuel Waxman Cancer Research Foundation); Cristina Cuomo (Presenter; Editor-In-Chief, Manhattan Magazine); Hugh Hildesley(Executive Vice President & Auctioneer, Sotheby’s); Kenneth Fishel (Board of Directors, Samuel Waxman Cancer Research Foundation); David Hinkelman (Board of Directors, Samuel Waxman Cancer Research Foundation);Howard Kurz (Board of Directors, Samuel Waxman Cancer Research Foundation); Robert Kantor (Board of Directors, Samuel Waxman Cancer Research Foundation); Howard Shlafmitz (Board of Directors, Samuel Waxman Cancer Research Foundation); Baron Silverstein (Board of Directors, Samuel Waxman Cancer Research Foundation); Mary Kantor (Honorary Board Member, Samuel Waxman Cancer Research Foundation); Dena K. Weiner (Board of Directors, Samuel Waxman Cancer Research Foundation); Ruth Finley (Founder, Fashion Calendar); Coppy Holzman (Founder & CEO, Charity Buzz); David Burke (Chef, The Wayfarer) and Jean Shafiroff (Philanthropist). This year’s event was attended by more than 750 corporate executives, board members and their guests. The money raised will support the Waxman Foundation’s research efforts to produce a cure for cancer by reprogramming cancer cells and to deliver tailored, minimally toxic treatments to patients. The scientists funded by the SWCRF have made significant breakthroughs in cancer research, including identifying pathways to deliver novel therapies to treat cancer. 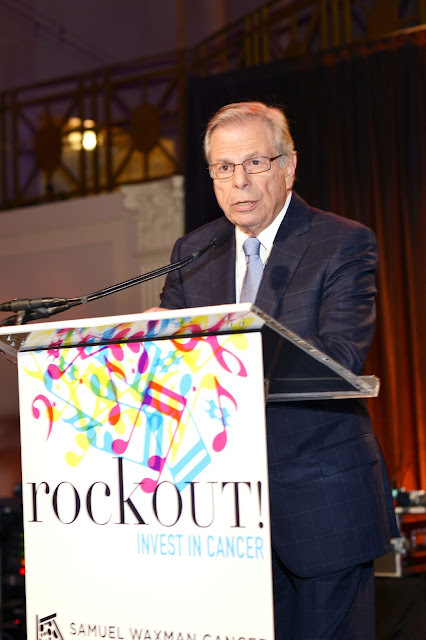 SWCRF Chairman and Collaborating for a Cure host Michael Nierenberg gave opening remarks welcoming attendees to the Dinner & Auction and thanked the SWCRF’s many supporters for their continued efforts to raise funds for cancer research. The evening’s Master of Ceremonies Chris Wragge then took the stage to introduce Dr. Samuel Waxman whose remarks highlighted the importance of investing in cancer research and developing less toxic therapies for cancer patients of all ages, which is a large part of the SWCRF’s mission. After dinner, Wragge introduced Cristina Cuomo, Editor-In-Chief of Manhattan and Beach Magazine, to present the SWCRF Fashion Cares Award to John Varvatos. In accepting his award, Varvatos lauded Dr. Waxman’s work and the research of the SWCRF. 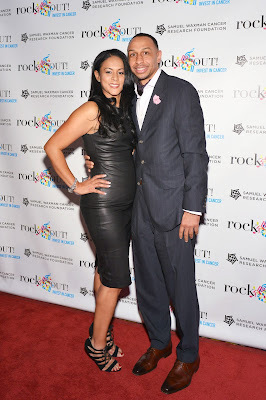 He also shared that his father battled leukemia, his sister underwent a double mastectomy and his brother recently received a prostate cancer diagnosis. The evening’s exciting live auction, which was led by Hugh Hildesley, Executive Vice President of Sotheby’s Auction House. Guests the opportunity to bid on exclusive items such as: a $10,000 shopping spree and lunch withJohn Varvatos which sold for $17,000; an America’s Cup Yacht Race experience captained by former America’s Cup Team Members, sold twice for $10,000; a private wine tasting at Italian Wine Merchants for $17,000; an exclusive opportunity to meet John Fogerty and receive a flannel shirt autographed by the legendary rock star, which sold to the highest bidder for $10,000. The highest bid of the night, $60,000, went to a five day, four night stay for 10 people at the Ian Fleming Villa at the GoldenEye Hotel in Jamaica via private jet. Other travel packages included a CMH 4-day Heli-skiing trip for 2 in Canada sold for $17,000; A Milwaukee Bucks experience including G4 flight to a game and team memorabilia, which sold twice for $20,000 and an Italian wine and truffle adventure in Italy donated by Palm Bay International, which went for $32,000. Online auction items, which will be available for bidding online at CharityBuzz.com until November 24, 2015include: Private Suite for 24 People to See the NFL’s New York Jets vs. New England Patriots on December 27, 2015 at MetLife Stadium; 6-Day/5-Night Charter of the Lady Tatiana of London or Lady Alhena of London for up to 11 Guests; Victory: A Song of Thanksgiving, 1968 Signed Lithograph by Salvador Dali and 2 Tickets to the Tadashi Shoji Fall/Winter 2016 Runway Show​ at New York Fashion Week in February Plus a Dress to Wear to the Show. 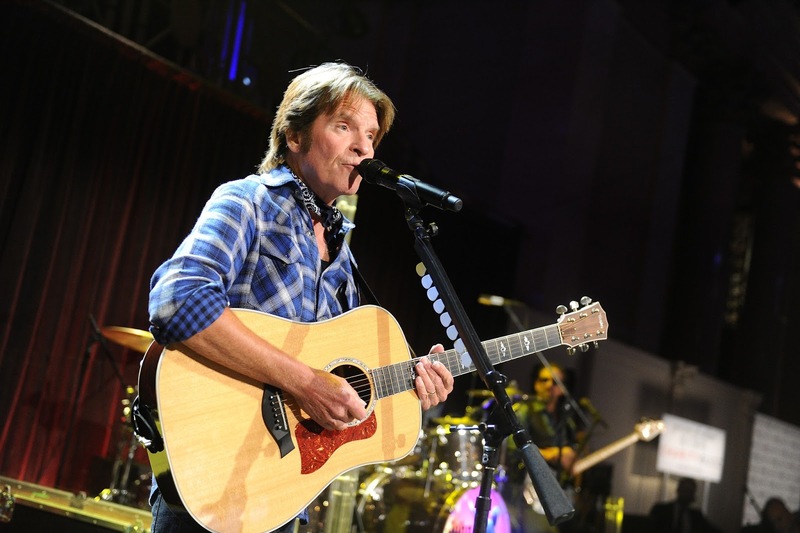 After the auction, guests were treated to an exclusive, live performance by John Fogerty, who performed hits from his solo career and from his legendary run as lead singer of Creedence Clearwater Revival. Known affectionately by New Yorkers as “The Waxman,” the yearly fête is considered to be among the top fundraising events in New York City. In recent years, “The Waxman” has raised several million dollars to support the Waxman Foundation’s research efforts to produce a cure for cancer. Past musical performers at the Waxman Gala have included the Warren Hayes Band, Kid Rock, Chevy Chase, Steely Dan, Glenn Frey, Joe Walsh,Sheryl Crow, Ziggy Marley and Counting Crows. The Event Chairs were: Lynn and Wes Edens, Katie and Scott Eichel, Kristen and Johan Eveland, Maria and Kenneth Fishel, Mary Henry and Howard Rubin, Diane and Adam Katz, Nancy and Howard Kurz, Randal Nardone, Elin and Michael Nierenberg, Mara and Baron Silverstein, Linda Taub, Sandy and Marc Taub, Bettina and Spencer Waxman and Lauren Zwak and James DeMare. The Dinner Committee included: Eve and Brant Brooks, Sarah and Brian Chin, Tracy and Frank Collins, Staciand Andrew Friedwald, Samantha Santiago and Steve Jones, Andrew Sloves, Nicholas Smith, Laurie and Joseph Steffa, Charles Sorrentino, Marion and Samuel Waxman, M.D., Dena K. Weiner and David Rozenholc, Amy and Matt Zisette. The Auction Committee included: Nancy Loving and David Hinkelman and Deborah and Howard Shlafmitz. For more information, visit: www.waxmancancer.org. Like SWCRF on Facebook and follow us on Twitter and Instagram: @WaxmanCancer.